Despite having little experience in commanding large, conventional military forces, Washington’s strong leadership presence and fortitude held the American military together long enough to secure victory at Yorktown and independence for his new nation. 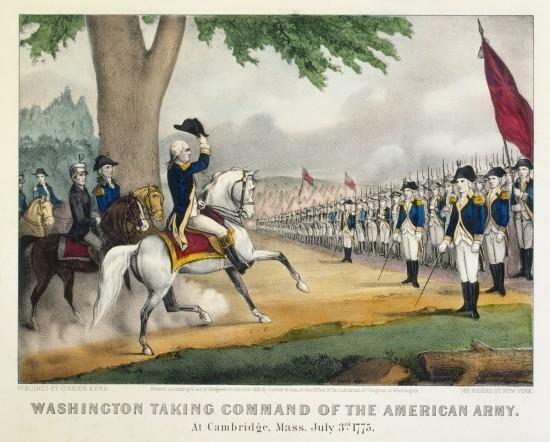 On June 14, 1775, the Second Continental Congress, responding to the growing crisis near Boston, directed that one of its own constituents – George Washington – take command of the newly designated Continental Army. Not only did Washington have the most military experience amongst the Congressional delegates, but as John Adams pointed out there were also great political advantages in having a someone outside of New England take command of a military force that was congregated around Boston and largely made up of New Englanders. Arriving shortly after the conclusion of the Battle of Bunker Hill, Washington moved swiftly to assume command of the ragtag forces surrounding besieging the British garrison within the city of Boston. 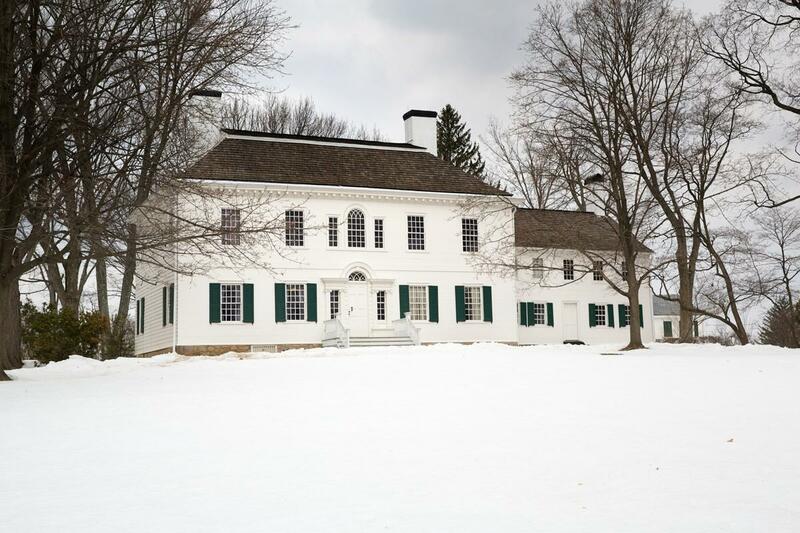 What Washington did not realize at the time was that it would be six long years of battle, marching, siege, crises, and winter encampments before Washington had an opportunity to return to his beloved Mount Vernon. 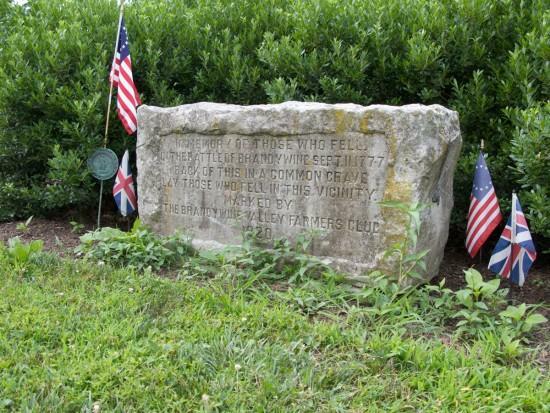 In September 1781, as the combined American and French forces made their way down to Yorktown, Virginia, Washington was able to make a brief visit to his home along the Potomac River. During this visit, Washington and Rochambeau refined their plan for defeating Charles Cornwallis’ forces trapped on the York Peninsula. 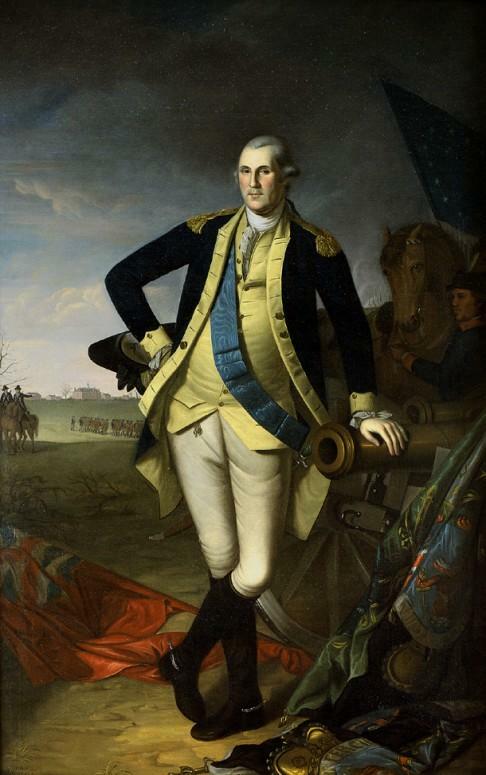 George Washington was but one of only a handful of candidates considered by the Second Continental Congress who possessed any significant military experience. But by European standards Washington’s experience in commanding large conventional armies was non-existent. 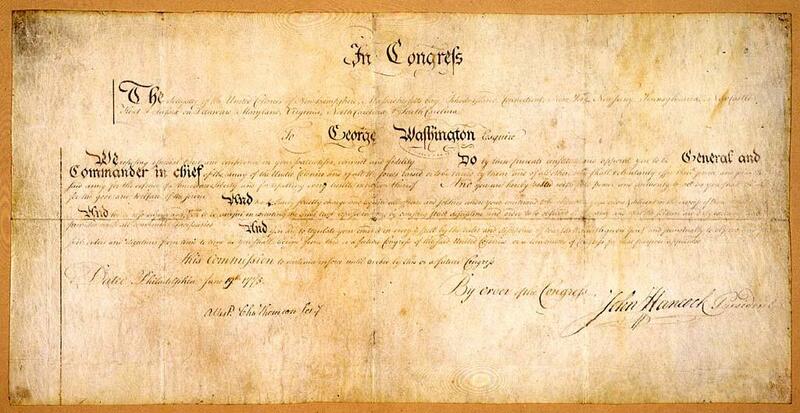 Leading up to the French & Indian War, Washington had ably commanded the Virginia Regiment, but this provincial military unit never had more than 2,000 men in its ranks. In 1754 Washington commanded roughly 100 regulars and 300 militia at the ill-fated Battle of Fort Necessity. So much for conventional experience. 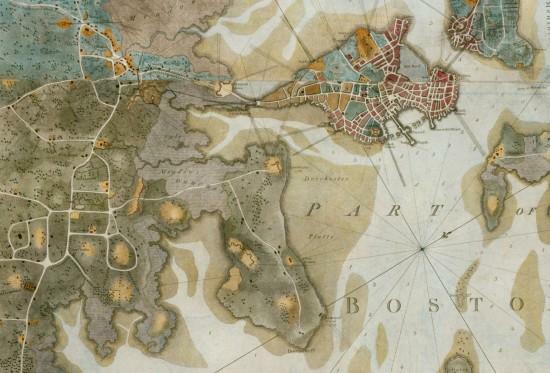 Unlike the successful Siege of Boston, the efforts to defend the city of New York ended in near disaster for the Continental Army and the cause of independence. 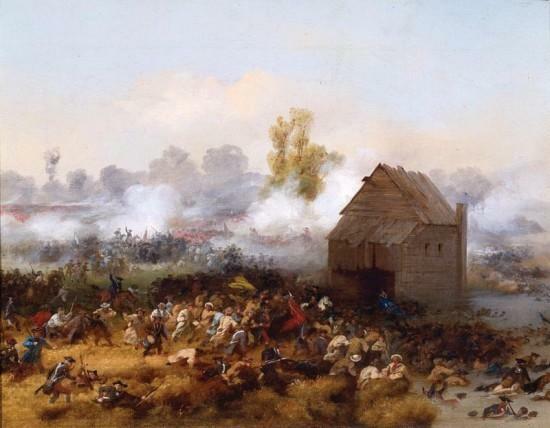 In what proved to be the largest battle of the Revolutionary War in terms of total combatants, Washington’s forces on August 22, 1776, were flanked out of their positions atop the Gowanus Heights (part of today’s modern Brooklyn) and soundly defeated by William Howe's roughly 20,000 man force on Long Island. 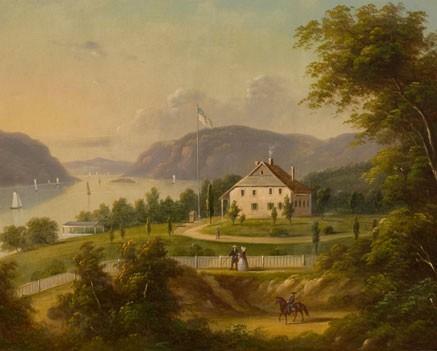 Confronted by a powerful British army to his front and the East River to his back, Washington rapidly formulated a risky plan to save his threatened army atop Brooklyn Heights. With the constant threat that the Royal Navy would enter the East River and block his avenue of retreat, Washington ordered that all available flatboats be brought down to his position so that the army could be moved to nearby Manhattan on the night of August 29-30, 1776. Aided by a providential fog that hid the evacuation, Washington was able to successfully move all 9,000 of his troops to Manhattan without losing a man – a remarkable military feat that astounded his British enemy. 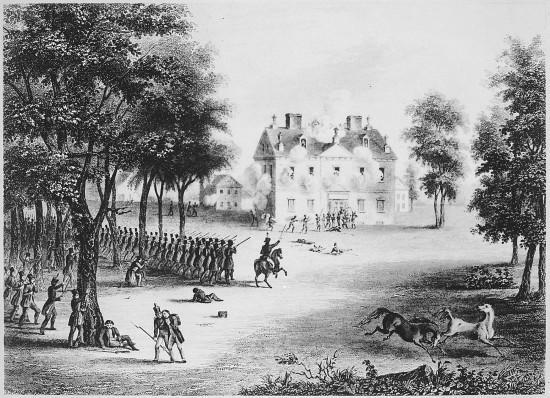 As the New York campaign progressed, Washington’s forces were subsequently defeated at the Battle of White Plains on October 28, 1776, and later at Fort Washington on November 16, 1776. The debacle at Fort Washington cost the Americans 59 killed and another 2,837 captured. Chased from New York, Washington’s fractured and demoralized army retreated all the way across New Jersey and into Pennsylvania. 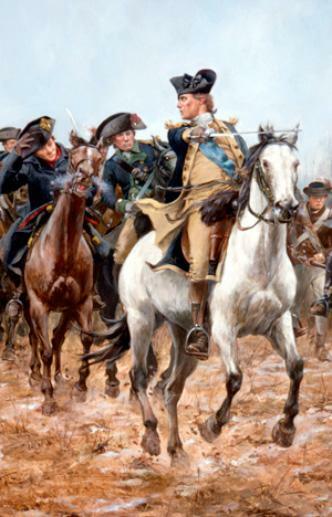 Washington’s great triumph against the Hessian forces at Trenton on December 26, 1776, is one of the best-known episodes of the Revolutionary War. (Map: Battle of Trenton) Fearing a counterattack by British regulars, Washington hustled his tired warriors and frozen Hessian captives back to the Pennsylvania side of the Delaware River. Would this single victory over a Hessian garrison be enough to sustain the morale and inspiration of the beleaguered Patriot cause? Encouraged by reports of the enemies’ general confusion in New Jersey and a successful campaign to extend the enlistments of many soldiers ready in his ranks, Washington decided to seize the initiative once more. Determined to expand upon his initial success Washington shuttled his army and artillery back across the frozen Delaware on December 30, 1776, and into a strong position along the Assunpink Creek outside of Trenton. It was here that Washington awaited the arrival of Gen. Charles Cornwallis’ force of 8,000 Redcoats and Hessians. 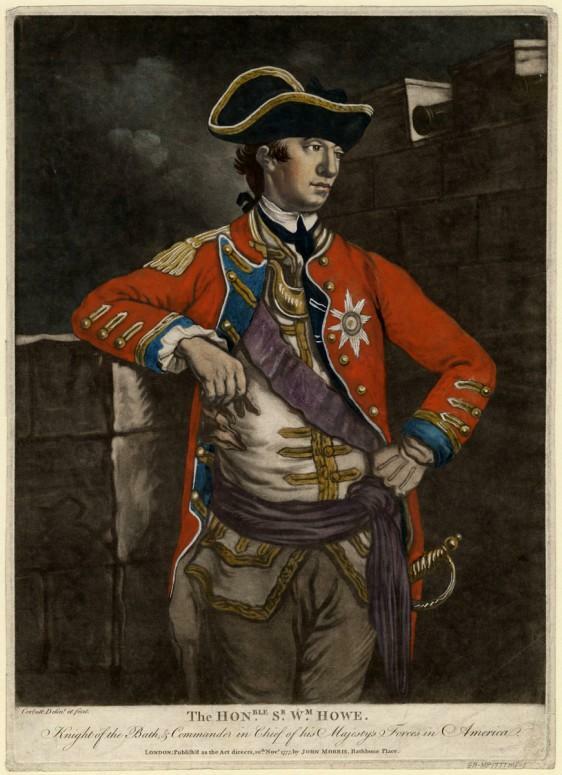 With the rapid onset of an early winter’s eve, Cornwallis ordered a cessation of offensive actions. Certain of a victory the following day, the British general boasted that “we've got the old fox safe now. We'll go over and bag him in the morning." Unfortunately for Cornwallis, the morning sun that illuminated the empty American camps proved that the “old fox” was gone. Washington during the night had stolen a march and had marched his army north to Princeton where the Americans proved victorious once more on January 3, 1777 (Map: Battle of Princeton). The victories at Trenton and Princeton, not only helped to bolster the morale of the American army and encourage recruitment, but these bold actions also greatly impressed the French who were actively weighing their involvement in the war. Having survived his own bout with smallpox in 1751, Washington was altogether familiar with how disease could rob the cause of a viable army. Not only would smallpox kill off soldiers in the ranks, but the threat of infection also scared away many of the recruits that Washington’s army depended upon. 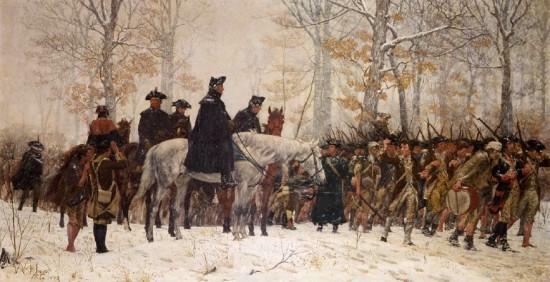 Starting during the winter of 1777 in Morristown, New Jersey, Washington took the bold and controversial move to have soldiers in his army inoculated against smallpox infection using a technique called variolation. 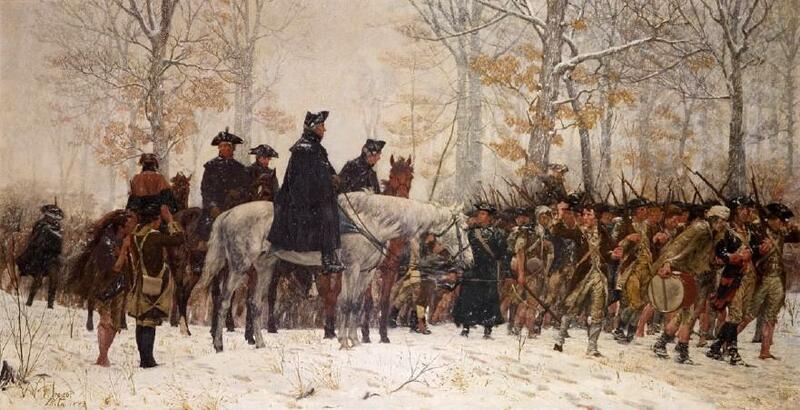 Later during the winter encampment at Valley Forge, Washington went even further, demanding that his entire army be inoculated – an action that required great secrecy since inoculated soldiers were incapacitated for a period of time. By some reports, death by smallpox in the ranks dropped from 17% of all deaths to a low of 1% of all reported deaths – a tremendous reduction. Historian Elizabeth Fenn, author of Pox Americana: The Great Smallpox Epidemic of 1775-1782, claims that “Washington's unheralded and little-recognized resolution to inoculate the Continental forces must surely rank with the most important decisions of the war…"
Nowhere were supply troubles more evident and onerous than during the Valley Forge winter encampment of 1777-1778. Rather than snow and frigid temperatures, it was actually the rainy, temperate weather at Valley Forge that turned the surrounding roads to mud, further hindering an already tenuous supply network. Local farmers were more likely to send their foodstuffs and supplies to the nearby British who had hard currency to offer in return. The Continental Army, by comparison, could only offer payment in greatly devalued paper currency or through IOUs. Washington became so concerned over the poor state of supply that he appointed Gen. Nathanael Greene as his new quartermaster. Greene, who was initially concerned about taking this thankless job, overhauled the inefficient supply system and greatly improved the state of the Continental Army through his efforts. In April of 1781, the British sloop of war HMS Savage anchored menacingly in the Potomac River near George Washington’s plantation home at Mount Vernon. The Savage, under the command of Captain Thomas Graves, had been raiding up and down the Potomac and now demanded that the General’s estate provide the sloop with “a large supply of provisions.” If the order to provide supplies was actively resisted, Mount Vernon was likely to have been put to the torch as other nearby plantation homes had been. While the Savage was anchored close to shore, seventeen intrepid Mount Vernon slaves made their way down to the ship and gained their freedom as they arrived on the warship’s deck. Lund Washington, George Washington’s distant cousin and estate manager, first thought to resist this ultimatum per his master’s instruction, but later agreed to provide sheep, hogs, and “an abundant supply of other articles” to the Savage, partially in an attempt to win back the escaped slaves. Captain Graves gladly accepted the supplies, spared the plantation, and refused to return the slaves. 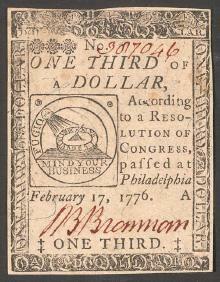 Years of rampant military spending, economic mismanagement, and hyperinflation fueled by a successful British campaign to flood the colonies with counterfeit paper money had left the American financial coffers bare. Washington, in a letter to John Laurens in France, declared in January 1781 that he could not even pay the teamsters that were required to bring supplies to his troops. 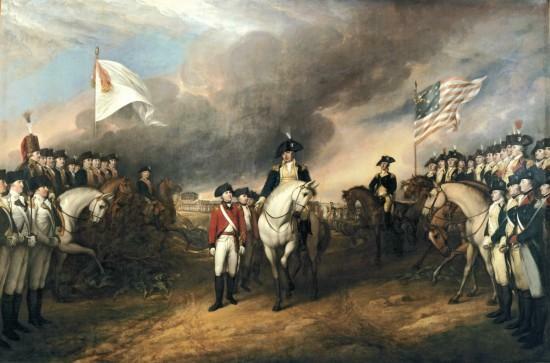 A gloomy and frustrated Washington admitted that “we are at the end of our tether, and that now or never our deliverance must come.” French setbacks in Rhode Island, news of British successes in the Southern theater, and intelligence reports indicating a possible French exit in 1781 all added to the sense of impending defeat. In late May 1781 Washington’s situation and the fate of the American cause began to rapidly improve. Comte de Rochambeau, the commander of the French troops in America, informed Washington that France had made a 6,000,000 livre gift to the Continental Army. But it was the news that Rochambeau did not initially share with Washington that made an even bigger impact. The French fleet, now operating in strength in North American waters, had been secretly directed to the Chesapeake and a real opportunity to defeat Cornwallis’ force now existed. 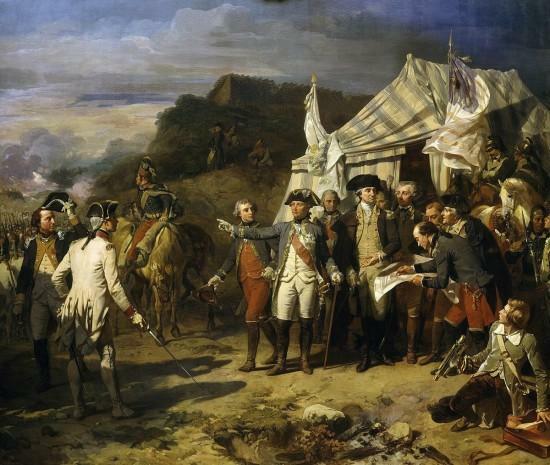 Washington, who had been stubbornly fixated on attacking the British base at New York City, rallied to Rochambeau’s plan and moved his army south to Virginia. On September 5, 1781, the French fleet under the command of Admiral de Grasse drove off the British fleet sent to relieve Cornwallis. The trap was now set. The siege of Yorktown began on September 28, 1781, and ended with a Franco-American victory on October 19, 1781 – the decisive battle of the Revolutionary War. Learn More: The Yorktown Campaign | Watch "Now or Never: The Yorktown Campaign of 1781"
Despite having achieved a decisive victory at the Battle of Yorktown in October of 1781, threats to the Patriotic cause continued. In March of 1783, a growing number of American military officers, discouraged by lack of regular pay and ongoing financial support, began to openly discuss options that included a wanton disbandment of the army or possibly even a military show of force pointed directly at Congress. Washington, who learned of the “Newburgh Conspiracy” through a printed camp circular, appeared at a March 15, 1783 meeting and challenged the gathered group of officers. “My God! What can this writer have in view, by recommending such measures! Can he be a friend to the army? Can he be a friend to this country? Rather is he not an insidious foe?” Towards the end of his address, Washington reached into his pocket to retrieve a pair of spectacles and in a theatrical gesture remarked that “…I have not only grown gray, but almost blind in service to my country.” This display of self-sacrifice from their longstanding leader deeply affected many of the officers who in turn abandoned their treasonous thoughts and returned the obvious affection of their leader. History is filled with example after example of military commanders seizing political power during times of revolution – Julius Caesar, Oliver Cromwell, Napoleon Bonaparte, Mao Zedong, and Muammar Gaddaffi are just some of the better-known examples. We take it for granted today that the United States Armed Forces are subordinated to civilian rule, but in the 18th century, it was far from certain that any general would simply surrender power to a civilian authority. 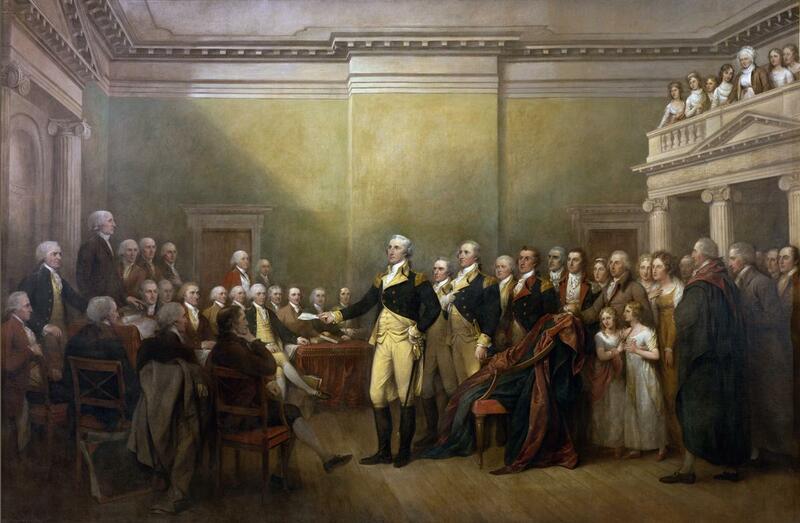 But for George Washington, civilian control of the military was a core part of his beliefs. Washington’s resignation signaled to the world and the American people that this new nation would be founded on different principles. Watch our animated video presentation about George Washington and forming the U.S. Constitution. Learn more about Washington's 1781 victory at the Battle of Yorktown. 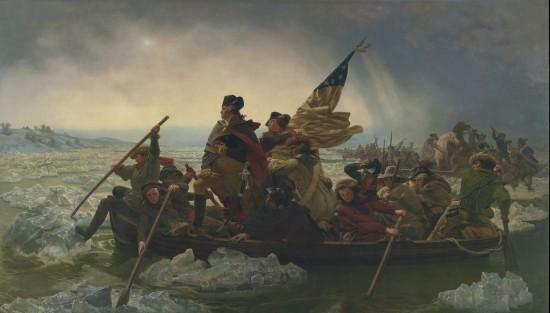 Learn why Washington's crossing of the Delaware River was just the beginning of a glorious campaign against the British. See many of George Washington's most famous swords in this online collection.